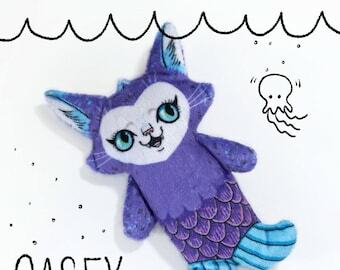 A mermaid cat that lives under the sea. 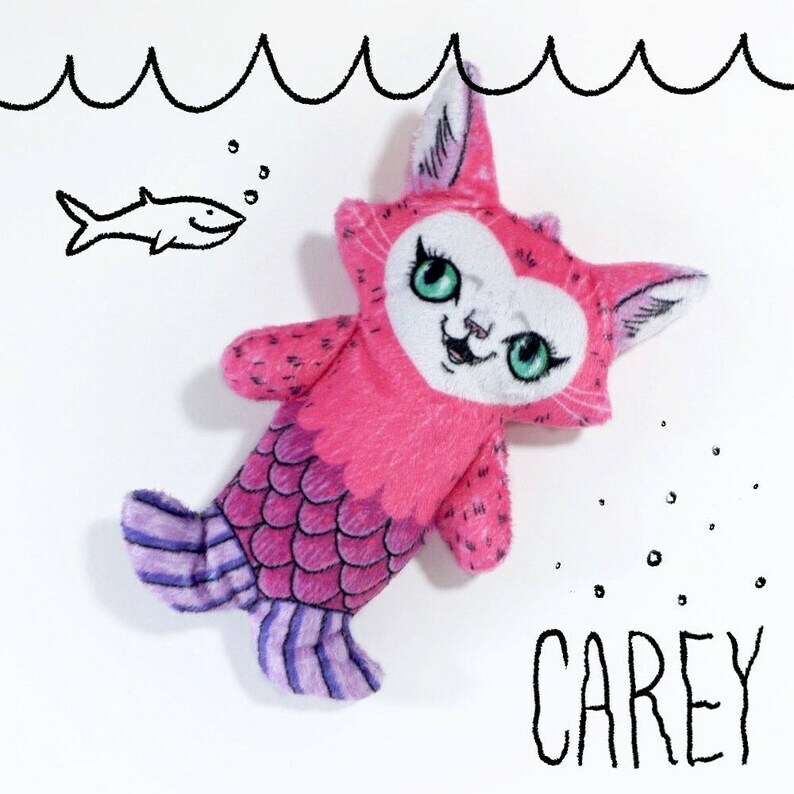 Carey the purrmaid collects seashells, but only the old ones that nobody lives in. Carey always knocks first. 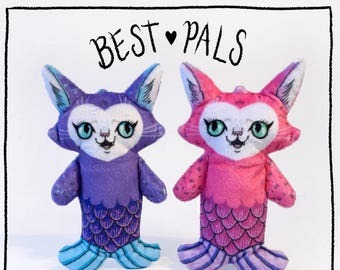 NOTE: A purple purrmaid, Casey, is available in the shop too. Check it out! 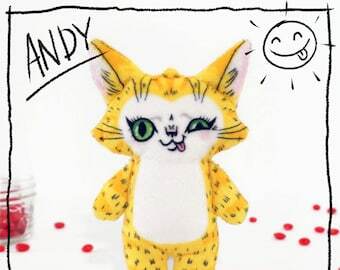 This soft and fuzzy minky fabric doll starts as a digital illustration. I draw eat cat by hand, then digitally paint the colours. 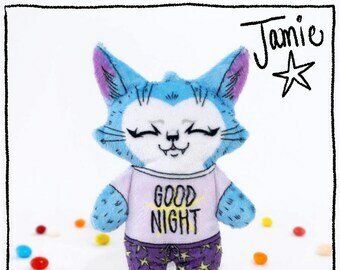 The digital drawing is then professionally printed onto SUPER SOFT minky fabric. 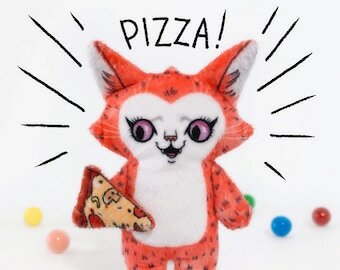 I then carefully cut and sew each doll by hand into this little pal. The colours are bright and bold and the printing is crisp. The fabric is pre-washed so it won't fade or run. I designed these dolls to have a pop, a little punch, and maybe a little punk! There are no parts for little ones to pull off. 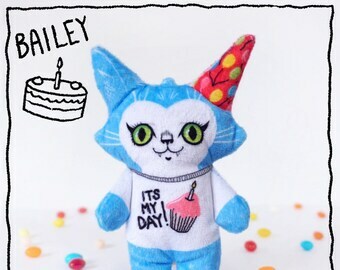 These dolls are perfect for your little wildcat, or maybe just for you! ALSO CHECK OUT MY OTHER SHOP! 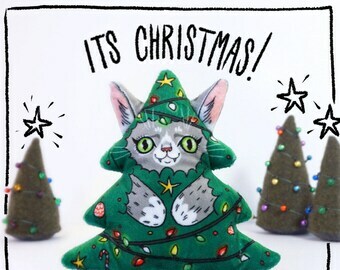 My main Etsy shop, blacklilypie, open since 2006. 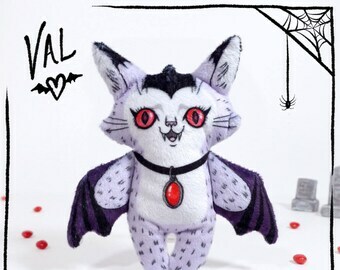 Lots of black and white plush dolls, spooky cuties, bats and cats. Love, love, love your products!!! Val is very cute and super soft and shop owner is friendly and responsive. Thanks! She is so cute & adorable! Amazingly soft & well made. I will buy from tham again! Love val the vampire!!! 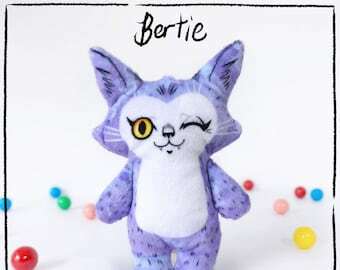 She is super cute, and very nicely made. Love all the details. She arrived very quickly. Thanx!!! 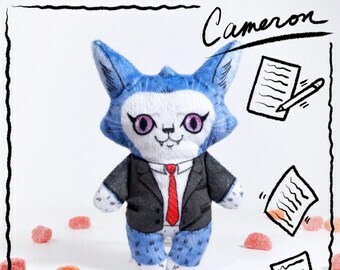 Can you make me a custom cat/order? I don't accept custom orders right now. Sorry! Can you gift wrap this little guy? Sure! I don't mind sending your order as a gift to someone. I can wrap in nice paper and include a gift packing slip that doesn't have the price. The most important thing that YOU can do is be clear that this is what you want, by adding important info in the "note to seller" box when you order, or by sending a "Conversation" to me. So please make sure you are clear WHO the gift is for and what address you want it sent to! 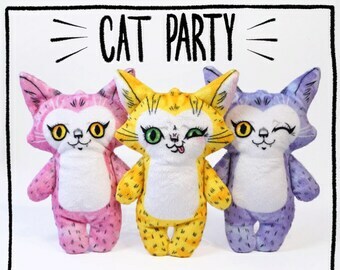 My dolls are made from minky fabric which has been professionally printed. I also prewash fabrics before creating the dolls. The colour will not fade, run or rub off. If you wash the doll in a machine with regular clothing detergent, the exterior fabric will not be damaged, but the stuffing may become shifted around and be lumpy, like any stuffed animal.